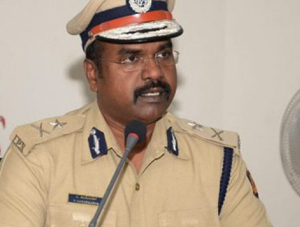 Mangaluru, Feb 14, 2017 : P Harishekharan, Inspector General of Police, Western Range has warned rumour mongers on social media sites of strict action. The IGP said misusing social sites like Twitter, Facebook, Instagram etc to spread rumours, create law and order problems and spread hatred and enmity between different religious will not be tolerated. Such crimes will invite jail term up to three years and penalty or both, he informed. Action will follow against the guilty under Section 153(A) of the IPC and 66(A) of the IT Act, the IGP stated. Social media must have a limit,Some misuse it . Its good that police have come forward to take action.